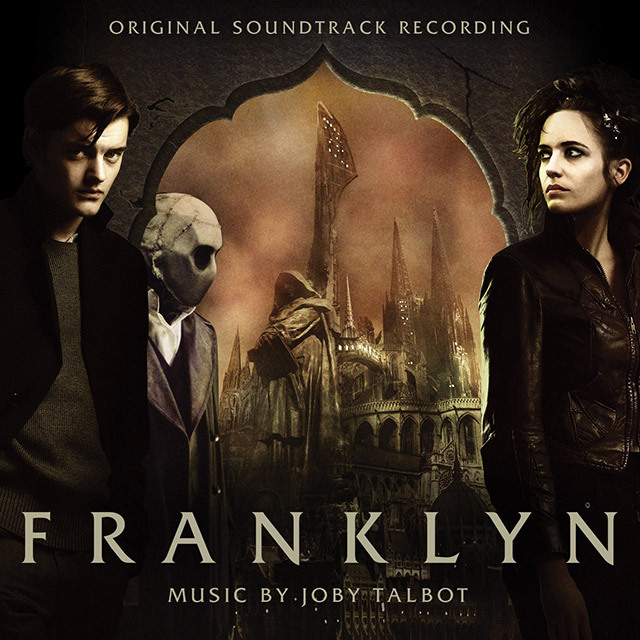 Joby Talbot’s quirky and classical soundtrack to Gerald McMorrow’s scifi thriller set in present day London and the futuristic Meanwhile City. Starring Ryan Phillippe and Eva Green, Franklyn is a bold britflick, a complex and ambitious film that highlights the director’s potential with Joby Talbot’s music “providing a solid emotional core throughout” (Den of Geek). Joby Talbot has been recognised by The Evening Standard, Broadcast and Campaign magazines as one of the ‘UK’s hottest new artists’ working in the visual media. His partnership with Neil Hannon produced seven albums for The Divine Comedy. He has worked with Ute Lemper, Michael Nyman, Travis, Tom Jones and Paul McCartney. Joby Talbot’s music has been performed at the world’s greatest venues including the Royal Albert Hall, the Royal Opera House and Carnegie Hall and his first Proms commission was performed in 2004, in the same year he became Classic FM’s composer in residence. In 2006, Joby produced and arranged an album of tracks by The White Stripes, entitled Aluminium. The album received critical acclaim and was the basis of a new choreography performed by The Royal Ballet at London’s Royal Opera House, Covent Garden. 6. How Old Was She?